One potato, two potato, three potato, four; five potato, six potato, seven potato more. 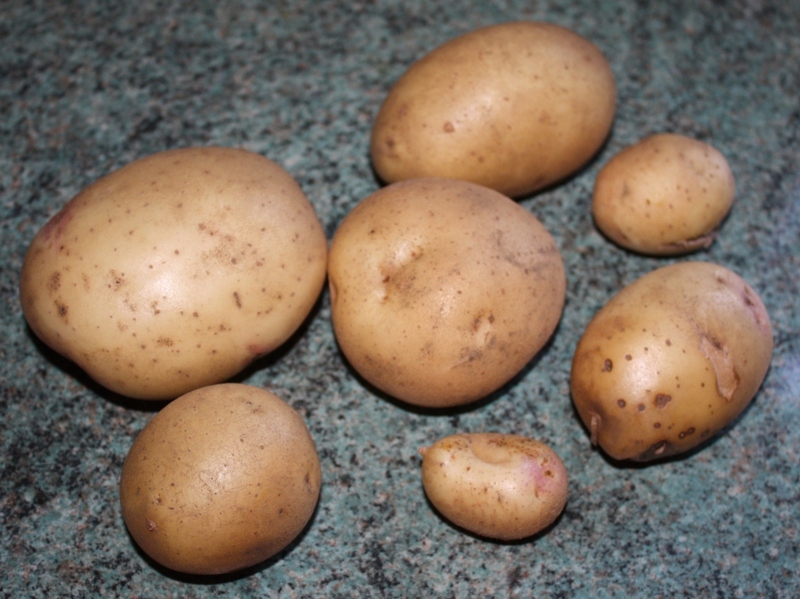 I wrote previously about my potato harvest from one test seed potato. Since then, I did some digging in the garden, and found more that I missed. I know what I’m going to grow next year! My new Kindle arrived last week. It’s extremely neat, and fits in a pocket. It’s not a touchscreen, which fooled me for a few seconds. The lack of keyboard hasn’t been a problem so far – using the screen keyboard is similar to texting. It hardly took any time at all to charge, using the USB port. 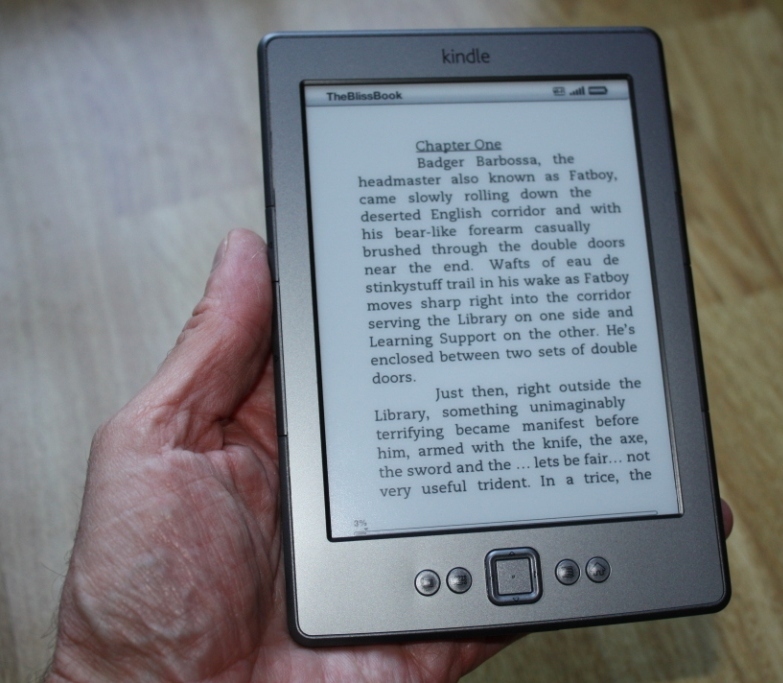 It is a nice and clear screen, and a real pleasure to read. Despite following the instructions, I can’t seem to read it and charge it at the same time. I loaded TheBlissBook, by John McKenzie, costing £0.86 onto it in a couple of minutes. My next blog post is likely to be a review of that book. I also ordered a cover for the Kindle. At £26.99 for a wee cover, it’s overpriced, but necessary. Of course, since buying it I’ve seen cheaper alternative covers elsewhere. You sent me two Kindle covers, in separate packages, with an identical order number. I’m pretty sure that you only charged me for one, and I only ordered one, and only want one. Can you confirm that you charged me for only one, and indicate what I should do with the second one, so that I can return it to you without cancelling the original order. Thanks. Thanks for letting us know that you being sent more than one “Marware jurni Kindle Cover, Black”. This seems to have been caused by a technical error, now fixed. Please be assured that you were charged only once for the item. Please return the extra item to us with all warranty cards, licenses, manuals or accessories (if any). Despite being a very automated business, Amazon are able, where necessary, to respond on an individual basis. Impressive! I’ve added the following new ACS (American Chemical Society) titles to JournalTOCs, the free current awareness service for researchers, students and lecturers. JournalTOCs now contains details of the latest Tables of Contents of over 17,100 scholarly journals, including over 2,600 Open Access journals. I had to look up the following words used in Behind The Wall: A journey through China, by Colin Thubron. I hadn’t realised how limited is my vocabulary! At one stage, he writes about Chinese inventions: printing and paper, the magnetic compass, gunpowder, porcelain, silk, the mechanical clock, dictionaries and encyclopedias, map-grids, lock-gates, paddle-wheel boat, chain suspension bridges, a seismograph, rain and snow gauges, winnowing machines, the kite and the wheelbarrow; yet he wonders how these inventions happened, as he says that metaphysical enquiry seems to be stillborn in their history. 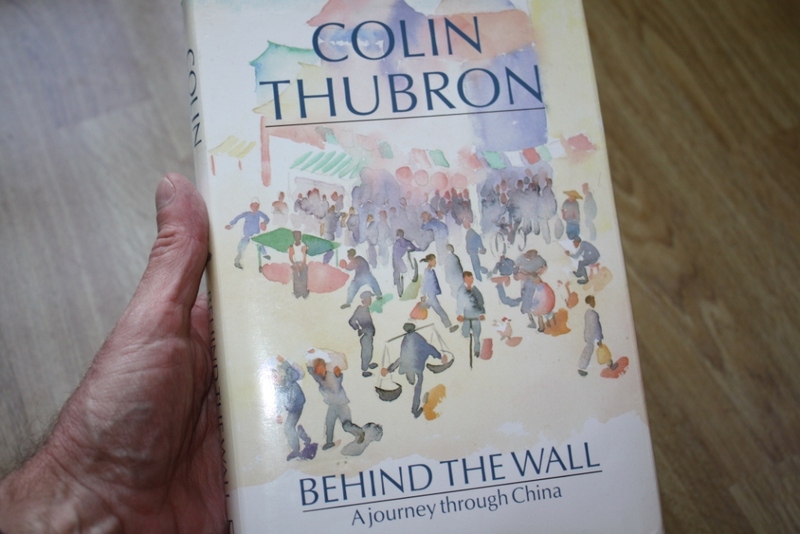 The book is about Thubron’s journey through China in the 1980s, at a time when very few westerners travelled in that country. Amazingly, he writes at one point “…there are fewer than a hundred private cars in China…” So, things have changed drastically in the years since, as according to official statistics, there are now more than 70 million, and demand outstrips supply. This is high quality travel literature. Thubron doesn’t need a gimmick, such as following in the footsteps of an earlier explorer, or pushing a washing machine round the country, or discovering an old travel journal in an attic and retracing its steps, or searching for cricket games in far off lands. Instead, he simply writes travel. Apropos of nothing in particular, there are currently more than 780,000,000 mobile phones in China. Another update today on William Cockfield from Linda Owens (you can search this blog for the other updates, and the original post is here). To celebrate Open Access Week, I’ve added the following Open Access journals to JournalTOCs, where you can find the latest Tables of Contents from over 17,000 scholarly journals, including over 2,500 Open Access journals. I’ve added a number of journals published by Intellect, to JournalTOCs, the free current awareness service for researchers, students and lecturers. Intellect is an independent academic publisher in the fields of creative practice and popular culture. They publish in four distinct subject areas: visual arts, film studies, cultural and media studies, and performing arts.